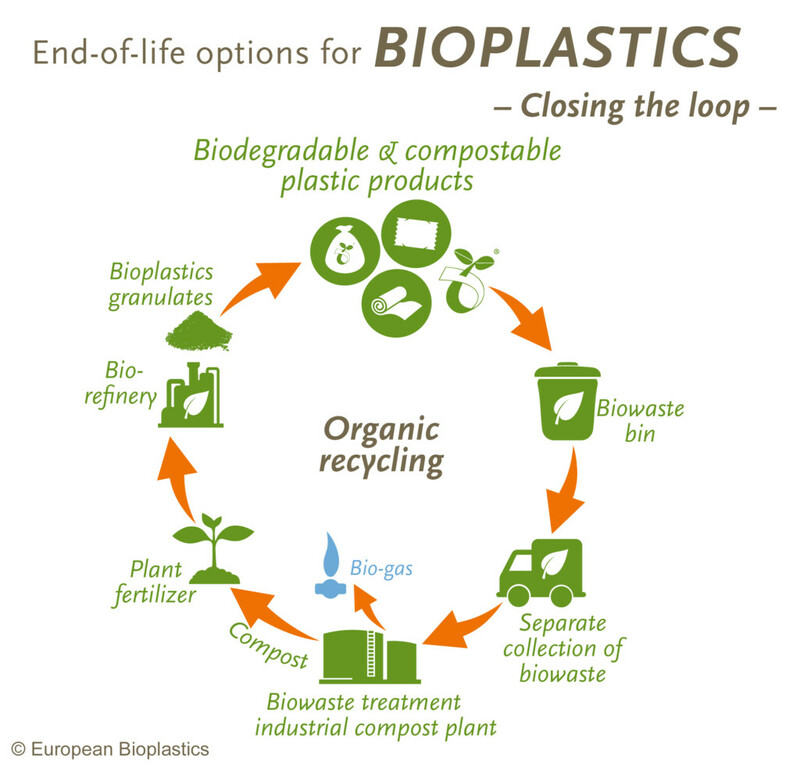 Composting – European Bioplastics e.V. Compostability is a clear benefit when plastic items are mixed with biowaste. Under these conditions, mechanical recycling is not feasible, neither for plastics nor biowaste. The use of compostable plastics makes the mixed waste suitable for organic recycling (composting), enabling the shift from recovery to recycling (a treatment option which ranks higher on the European waste hierarchy). This way, biowaste is diverted from other recycling streams or from landfill and facilitating separate collection – resulting in the creation of more valuable compost. In order to be suitable for organic recycling, products and materials need to meet the strict criteria of the European norm EN 13432 on industrial compostability. Following successful certification, these products and materials are permitted to be advertised and labelled as ‘compostable’. The Seedling label is a well-known mark for products conforming to EN 13432. The process of biodegradation under aerobic conditions within a time frame of 6-12 weeks is called composting. Composting of industrial products usually takes place in industrial composting plants, where controlled conditions (e.g. temperature, humidity, aeration) are given. Microbes, like bacteria or fungi and their enzymes, are able to “digest” the chain structure of compostable polymers as a source of nutrition. The resulting end products are water, carbon dioxide CO2 and a little biomass. The speed of biodegradation depends on the temperature (50-70°C are typical for a industrial composting process), humidity (water is required for the process), and the number and types of microbes. In industrial composting facilities, all those requirements are given and certified compostable plastic products are converted into CO2, water and biomass within 6 to 12 weeks. In the food supply chain, in supermarkets or at home, biodegradation occurs at a very low speed in comparison to composting. Organic household waste is collected by source separation from residual waste, such as in bio-bins, and treated in composting plants to produce quality compost. To find out more about industrial composting, have a look at our background paper. Home-composting – if done properly – can have benefits compared to landfilling and incineration of organic waste: due to lower volumes of waste collected from households it may lead to reduced waste management fees, and it produces compost for private gardening use. However, as with landfilling, home-composting bears the risk of producing greenhouse gases. What is more, some types of kitchen waste with particularly high energy content, such as meat and fish, are not suitable for home-composting. While home-composting can complement industrial composting and biomethanisation in AD plants, it cannot replace it. 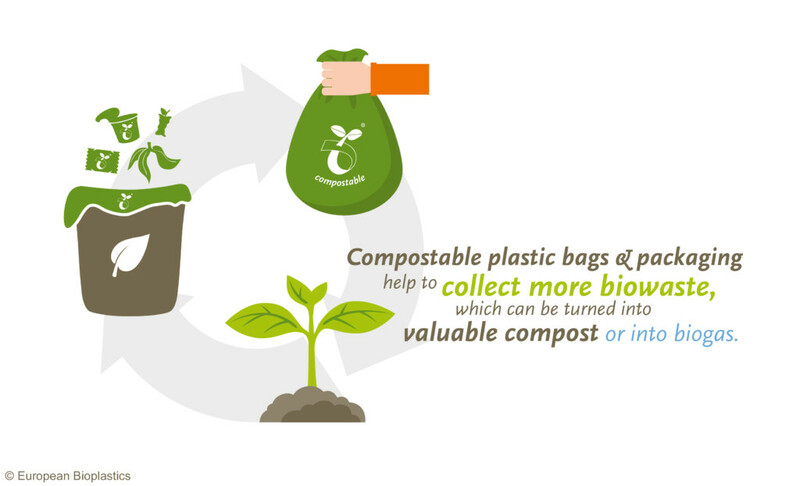 European Bioplastics recommends the separate collection of organic household waste with a dedicated kerbside waste collection system and subsequent treatment in industrial composting or AD plants. Home-composting should only be considered as an additional option for the treatment of organic waste, especially for garden waste. More information on home-composting of compostable plastics can be found in our position paper on home-composting.